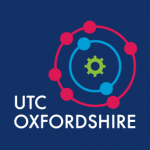 At UTC Oxfordshire we encourage our students to make use of the technology available while emphasising the importance of safe use. We have added the links below to provide information and guidance to the school community so we can work together to protect our young people. Each year there is an international Safer Internet Day; you can find out more by browsing this website and access lots of useful resources, advice and guidance. More information is also available on Childnet International’s supporting young people online information sheet.